Volleyball skill conditioning drills with the emphasis on skill development. At the highest level, the discriminating factor between winning and losing is skill level. In traditional conditioning, there's no focus on volleyball skill development. The following are examples of traditional conditioning that you'll commonly see performed by volleyball players. 1. Wind Sprints. Also referred to as shuttle runs or court suicides. 2. Running 3 Miles. Running distance has been a popular volleyball conditioning method for a long time. The advantage of endurance training methods is you improve your aerobic endurance and feel like you're in shape. Also, when you train aerobically, you burn more fat while you workout. I believe this is why you often see high school and college teams run a lot in pre-season. College coaches have players run distance to lose weight, which results in weight loss and improved stamina. Players are feeling better about themselves because they look better and feel better. Where does running fit into your volleyball conditioning? The big disadvantage to running distance is the conditioning result isn't specific to volleyball. I think the reason aerobic conditioning is so appealing to coaches is because it's an easier way to condition players. When you run distance, it's easier to run at a consistent pace while not having to focus on appropriate intensities and rest periods. A more specific type of conditioning would be conditioning that involves exercising at a high intensity with specific timed rest intervals. Wind sprints, jump training, and low impact plyometrics done at higher intensities with intermediary rest periods is more specific to volleyball. 3. Jump training, sprints, and agility drills. It's becoming more mainstream for volleyball players to perform sport specific conditioning exercises at volleyball practice. 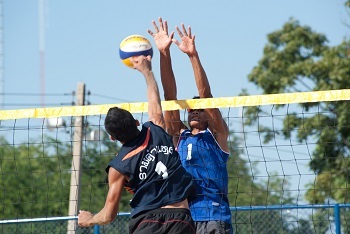 Playing volleyball involves frequent bouts of intense jumping, diving, and lateral movements. These techniques are coupled with short rest periods throughout a match. Therefore, training anaerobically by performing various jumps and quick change of direction movements is more specific to how you move in volleyball. Skills-based conditioning is centered on a skill (or set of skills) as the objective. The focus is on skill development with the nature of the drill manipulated to achieve a desirable conditioning effect. There are basically two types of drills for volleyball skill conditioning. Closed Skill. A closed skill is basically a pre-planned skill movement. A skill is considered closed if there isn't a lot of anticipation involved in completing the movement. An example of a closed skill would be a lateral movement and block drill. Have a blocker perform repetitions of moving laterally at the net to block. Focus on the correct footwork patterns. This is referred to as a "closed skill" because the skill is pre-planned. All you do in this drill is fine-tune the technique of jumping to block from a lateral movement. In this example, volleyball skill conditioning through stress is achieved by manipulating the sets, reps, and the nature of the drill. For instance, make the drill harder by increasing the number of blocking repetitions. Also, you could increase the distance the blocker must travel to complete the block. For blocking, increase the distanced traveled, or increase the total repetitions. Open Skill. An open skill is basically when techniques involve unexpected movement. The player will have to anticipate the play. The lateral movement block drill can be progressed further into an open skill by having the blocker drop off the net and dig an attack. In this drill, have a second ball set to an attacker after the lateral movement and block is performed. After the lateral movement and block, the blocker drops off the net and gets in position to dig a spike coming from the opponent. This is considered an open skill because the blocker must read and react to the spiked ball. Conditioning is easy to prescribe. Techniques aren't complicated and drills are easier to supervise. Simple to quantify the work to be done. Since it's easier to quantify, this could lead to a more accurate training outcome. No skill development. Less efficient use of training time. Athletes don't enjoy this type of conditioning as much as they enjoy skill-based conditioning methods. Allows skill development. This type of conditioning is technique specific and could have complex game like drills. A more efficient type of conditioning. Combining physical development along with technical and mental skills. The athletes can enjoy conditioning drills that are more specific to game situations. Much harder to quantify the work to be done. 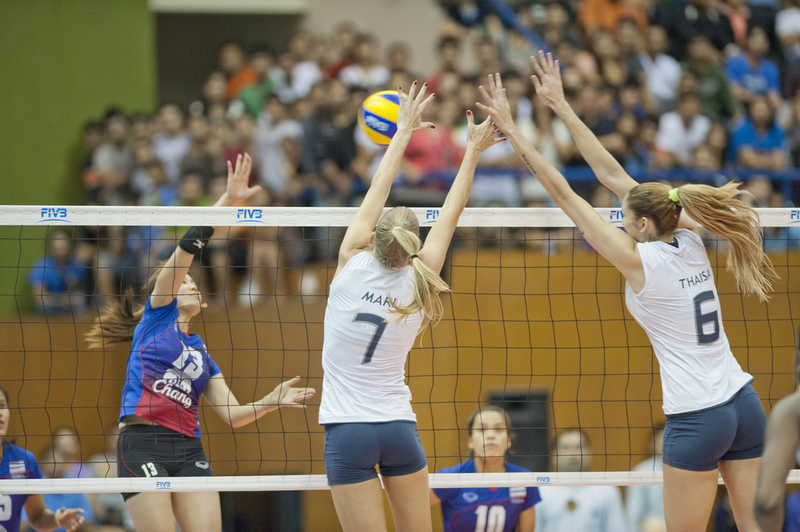 The coach needs a basic understanding of how to train energy systems for volleyball.